I love the way that real estate agents describe the city. “In the heart of Brunswick bridal district.” There is a poetry to their succinct phrases flavoured with slight exaggerations. 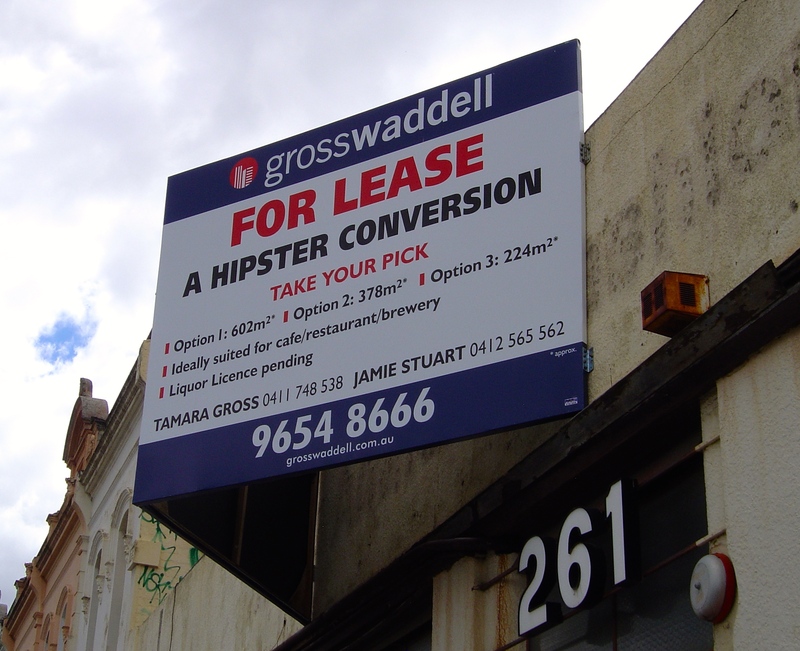 “For Lease, A Hipster Conversion” sign on the factory in Albert Street that previous was the studio of 3 Phase Design. “Ideally suited for cafe/restaurant/brewery” the sign continues, describing the range of larger hipster businesses. Hipster fashion boutiques, coffee shops and barbers would be looking for smaller premises. This is not a sign of the apocalypse. I don’t object to the gentrification of a suburb, but I prefer the hipsterfication because it improves cycling and other things. It is interesting that ‘hipster’ has entered real estate agent’s vocabulary. (See my post on Hipsters.) The long term industrial decline in Brunswick and Coburg, two suburbs in the north of Melbourne, left vacant many shops and factory spaces that were used as art galleries and studios. I thought that the sign would be a good a way of introducing a list of art galleries in the area that no longer exist; I couldn’t list all the artist’s studios in the area, like 3 Phase Design, as that would be a very long list. For the all the local art historians; this is probably not an exhaustive list and corrections and additions are welcome. It does not include all the pop up gallery spaces that had one or two exhibitions nor business, such as cafes or bookshops that exhibit art. 696, 696 Sydney Road, from 2008 to 2009 street art shop and alternative commercial art gallery that stocked one off artist creations along with spray paints and magazines. It had a small back room exhibition space with bi-weekly exhibitions and events. 696 also had one-night only exhibitions in “the Yard” in the backyard. Toby and Melika went on to establish “Just Another Agency” representing illustrators and organising exhibitions. 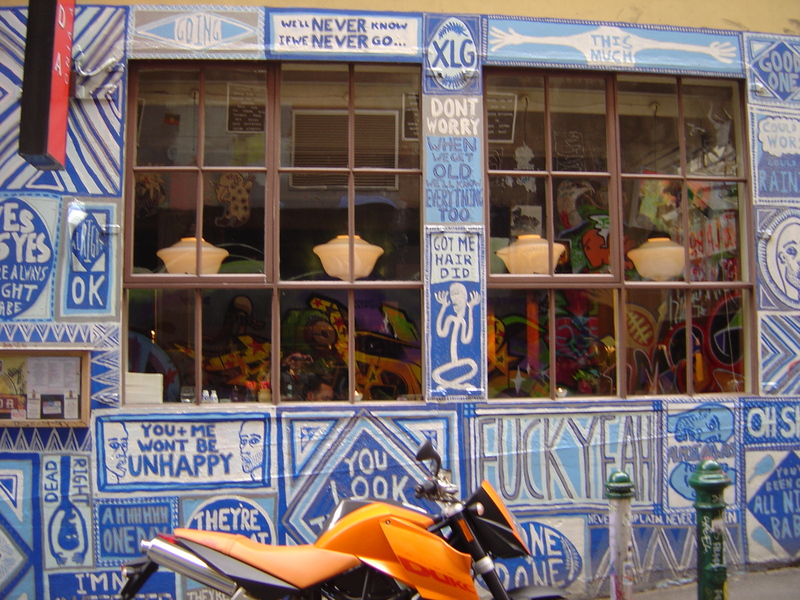 696 then became 696 Ink, a tattoo parlour with exhibitions of pop surrealism. 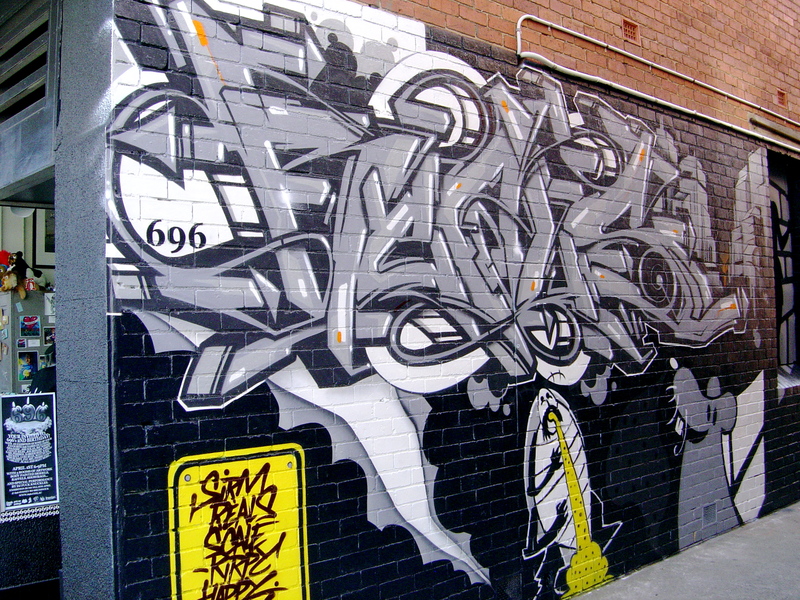 Some of the street art the 696 commission can still be seen in the alley way along one side of the shop. Circus Gallery in North Coburg (2004-2008), a single room shop front gallery that has to be the most northern art gallery ever in Melbourne. It was up the hill from the old Kodak factory in North Coburg amongst a culture of old shops. The shopfront room alternates as a studio space for Andrew May and an exhibition space; a heavy curtain is drawn across the front window to make it a studio. The gallery had the Starving Artist Prize; the cost of entry for the prize was a can of food and the winners received the cans of food. 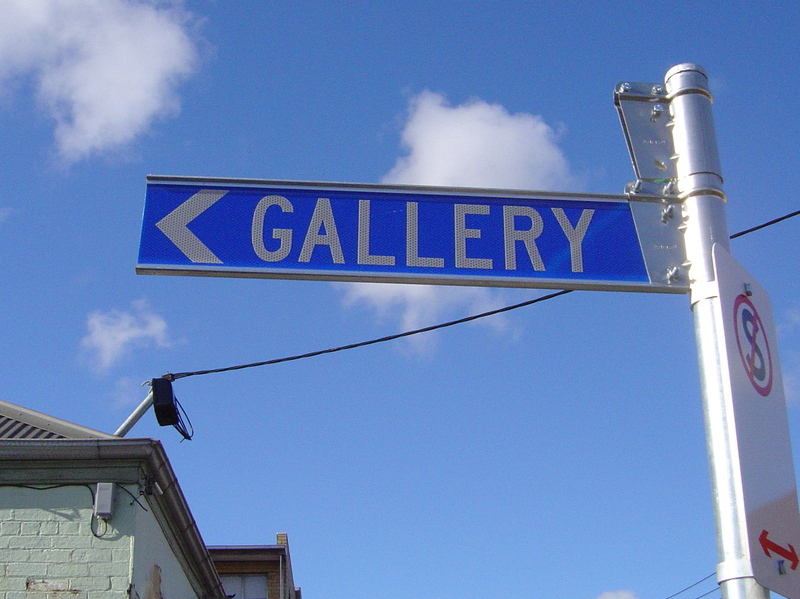 Eisenberg Gallery – The Victorian Museum of Experimental Art was at 126A Nicholson St. in East Brunswick on the intersection of Nicholson and Harrison streets. It was an artist run initiative that ran for a few years in a former shop space. The small space was not open but visible from the street through the large shop windows. Exhibitions changed regularly but mostly they were seen by the passing drivers stopped at the lights. Dudespace was an ordinary private suburban house at 22 Cassels Road, Brunswick. Run by Geoff Newton who went on to open Neon Parc in the city. The house would become an art gallery when a t-shirt bearing the word “Dudespace” hung out the front. The exhibitions in a room in the house would only last a day and featured some notable artists including Juan Ford in 2006. Ocular Lab, 2003-2010 an artist run initiative, meaning “a site for experimental and alternative models of artistic representation and activity that encouraged the development of professional practice” in a converted shop space in Brunswick with an external ‘billboard’ space. OM Gallery, was well located opposite the Brunswick Town Hall and ran for many years. It was both a photographic studio and rental exhibition space in a converted factory. Rinaldi Gallery on Victoria St., Brunswick was an attractive single shop front white room gallery with some one-off designer furniture and objet d’art also for sale. It was run by a very tasteful Italian woman for several years and exhibited serious emerging and mid-career artists. A couple of weeks before the Melbourne Art Fair (MAF) I noticed some street artist complaining on Facebook about a lack of inclusion of street art and graffiti in MAF. Bitching about how can the fair represent Melbourne art without street art. Many of street and graffiti artists are ignorant of what is on at an art fair (Peter Drew of Art vs Reality has in reality never been to an art fair). Of course, there are some artists who have work on the street at the MAF; for example, Lucas Grogan represented by Gallery Smith. As well, there was a forum about art in the street at Museum Victoria on Saturday. I already knew this when I stood up at the media preview and put the question to the director of art fair, Barry Keldoulis. He had already mentioned ‘break-out event’ and talked about the fair engaging with the rest of Melbourne’s art in his introductory speech. 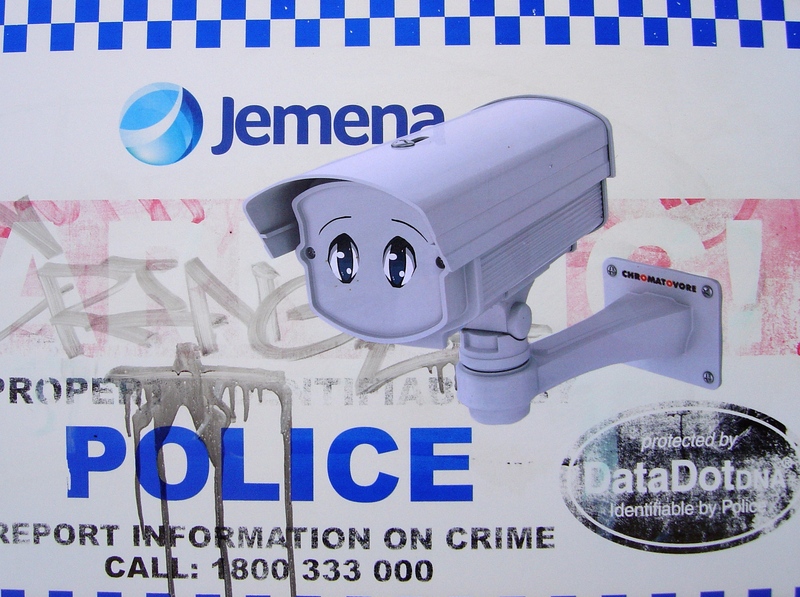 Keldoulis responded that you can’t avoid street art in Melbourne. 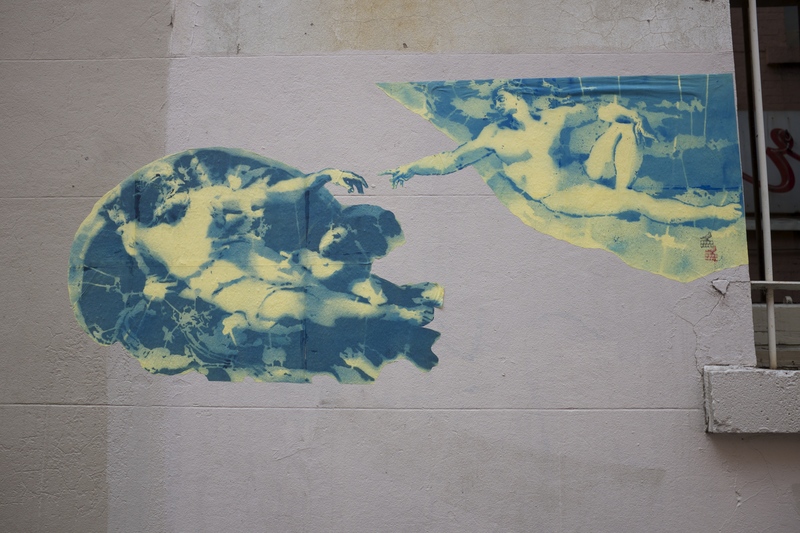 Visitors to the MAF were encouraged with talks and events to move beyond the confines of the Exhibition Building and would inevitably encounter street art. He questioned if street art should be brought into gallery space while noting that there were artists transitioning the two venues with prints and murals. He was certainly not excluded street artists and graffiti but that the transition from the street to galleries and the art fair is up to the individual artists. After Keldoulis had replied Anna Papas, Chair of the Melbourne Art Foundation (the Melbourne Art Fair is presented by the Melbourne Art Foundation) approached me. She was interested in how to include street artists and wanted to know how the MAF could include more of their work in the future. It is not that art galleries have been rejecting this art or have been anything like the worst enemies of street art and graffiti, but artists working on the street have so many enemies (police, transport officers, buffers) that almost everyone outside of their cohorts are added to the list. What graffiti and street artists really had to fear was not the galleries making them inauthentic but photographers, graphic designers, etc. exploiting their work on the streets. I’ve been watching the interaction between street art and art galleries since I started this blog in 2008. Of, course this interaction has been going on for decades longer than that. The art world has been searching for outsider artists for well over half a century. The genuine outsider artist is now a rare individual as there are so many people, from social workers to art collectors, waiting to discover them and expose their work to the wider world. 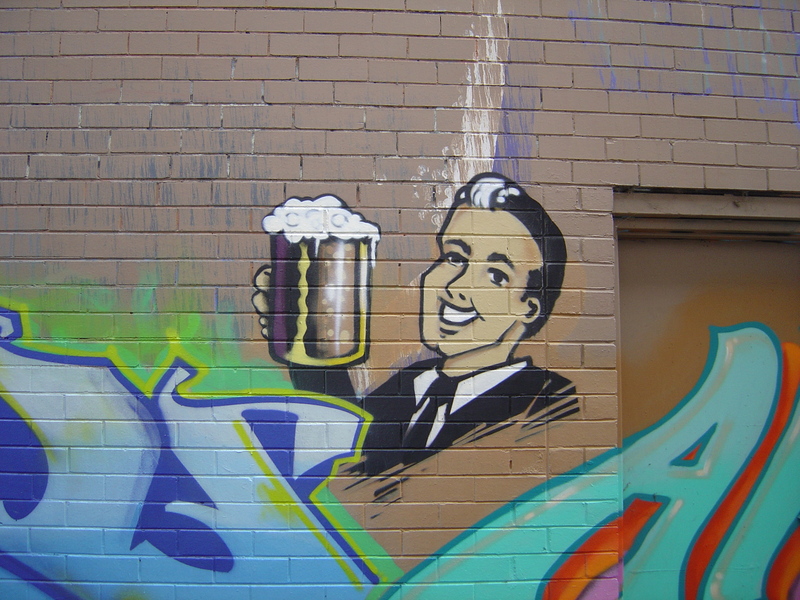 In recent years in Melbourne art spaces have been springing up to cater for street artists, particularly in Collingwood. A kind of parallel gallery system has emerged but these are not the kind of art spaces who will be representing artists at an art fair. “No flash! No flash!” In the Uffizi Gallery in Florence the gallery attendants are chanting “no flash!” at the tour groups. Now that everyone has a camera someone’s bound to have forgotten to turn their flash off. Some people are filming their entire visit to the gallery, others are using the zoom as binoculars to look closer at the paintings. At a certain point the number of cameras in a gallery becomes a spectacle in itself and a distraction from the exhibition. A museum or galleries policy on photography is not simply about insurance, copyright, security and protection of the collection, it defines the purpose and use of the museum’s collection. The Frick Collection in New York allowed photography briefly in early 2014 but then reversed this policy worried about the damage that inattentive photographers focused on their camera screen might accidentally damage some of the collection. 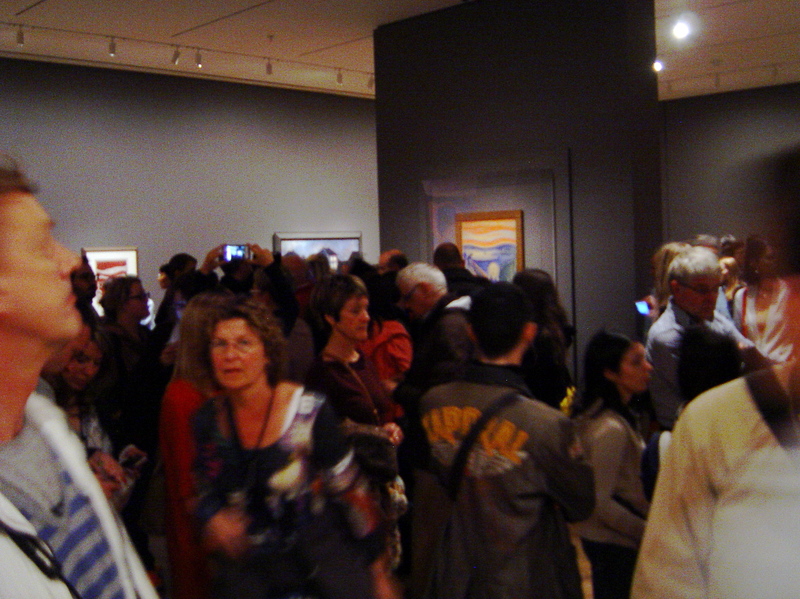 Why do people want take photographs in an art gallery? I know why I want to: images for this blog, not that I always take them I am not one of the bloggers who regularly takes photos at gallery openings or documents the whole exhibition with photographs. It is not easy to take good photographs of art and many artists and galleries would prefer not to have their art represented in bad photos so I am grateful that some galleries, like RMIT Gallery will supply photographs free to bloggers (thanks RMIT Gallery staff for your help over the years). I go around with a light weight digital camera strapped to my belt; it is sure is different from hauling my old Soviet Zenit around. Photography is part of everyday life now and people are increasingly trying to capture something of that life in the camera. With digital cameras there are few delays in processing and distributing; we can bore our friends in small doses over Facebook later that day. For more on this subject Mark Sheerin explores some of the issues of photography and the variety of gallery policies in “Gallery Photo Policy Versus The Aura of the Artwork” in Hyperallegic. What do can you do in an art museum/gallery/institution besides look at art? Some art museums are destination architecture – so you can look at the architecture and take a photo. The Guggenheim Museum in NYC started the trend of museums as destination architecture. The Guggenheim is an interesting experiment in art gallery design by Frank Lloyd Wright. It is a real mutant but not one with successful progeny, in that no other galleries have followed this new and curvy design. There is a fountain on the ground floor, a blank white pool with a single jet. There are also planter boxes with green indoor plants on several of the floors. After a few levels it was a relief to walk on a flat floor again but by the 5th level my calves and ankles felt oddly stretched. The Guggenheim in Bilbao is landmark architecture by Frank Gerrey and the photogenic equal of the New York building. However its curvy design does not extend floor to ceiling and the galleries are basically the same as other art museums. Buy an entry ticket. The tickets, this is often a necessity for the institution to have some income. Generally you get a ticket and often a little metal tags or sticker that you to put on your clothes. Put your coat and bag in the cloakroom. The cloakroom is necessary for your comfort and gallery security. Go to the toilet. A necessity but galleries have turned this into a design display. In the best art galleries in the world there are baby change facilities in the men’s toilets. I don’t know how many men take their babies to art galleries but the facilities are there for them in many of major museums. Sit down. The seats are another necessity as people do need to rest their feet and can be in high demand. Seating also allows the viewer to look at the art for longer. 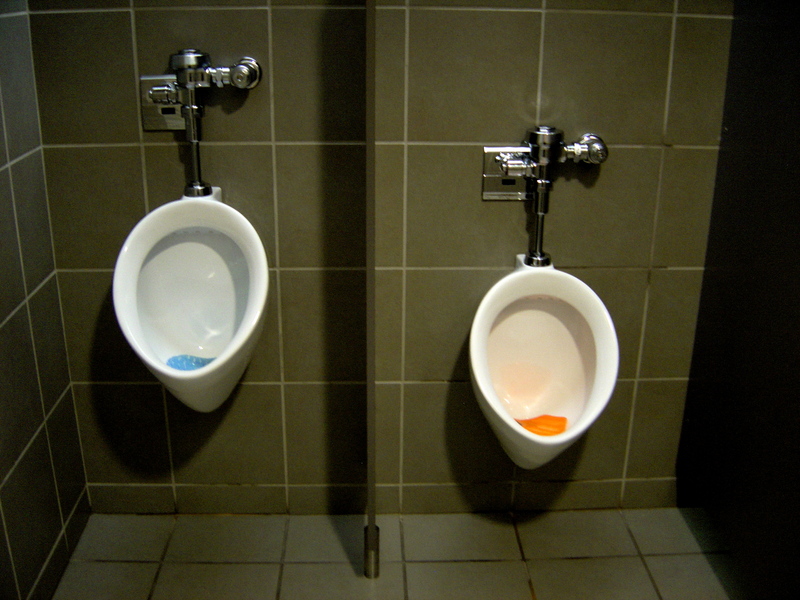 This presents a problem for contemporary art installations where a seat in the gallery may be interpreted as part of the art. Eat at the cafes. This might look like a side earner, but it is another necessity in large art museums that take at least a day to see. The Boston MFA and Louvre have several scattered around the gallery. The Vatican Museum has one of the worst museum café, as it is located directly above their new toilet block. Jeff Lee of Recent Items has a post about the Tate Modern’s café. Read in a reading rooms or library. The reading rooms in contemporary art galleries reading rooms are likely to be digital, but hopefully in no way resembling MOMA’s “O” (see my post O No). The pod overlooking harbour at the Boston Institute of Contemporary Art is cool, relaxing and informative. Listen to music, musical performances are the most likely entertainment in an art gallery. Listening rooms, well I’ve been in one in a Neue National Galerie Museum in Berlin. The museum had a collection of music and headphones in a seating area, again very relaxing. Play, mostly only for children, although adults can even play a boardgame in the reading room of the Isabella Stewart Gardener Museum. There is a need for a dedicated children’s activities area for the younger visitors in major galleries. Go to the Cinema. 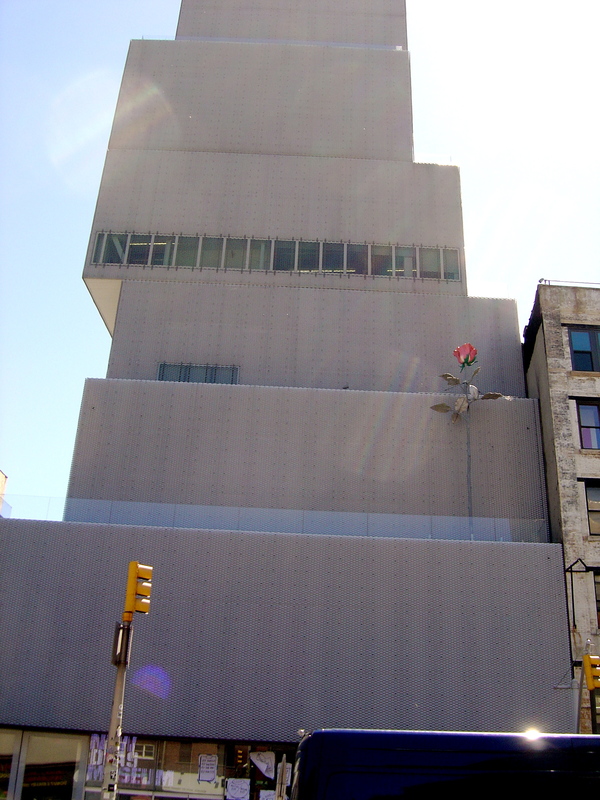 Tate Modern and a few other large galleries have cinemas with programmes co-ordinated with exhibitions. Sketch. Sketching in US museums is encouraged. Isabella Stewart Gardner Museum supplies pencils, paper and boards for sketching. The Frick Collection has regular sketching Sundays. This is in contrast to the NGV’s attitude to sketching (See no sketching). And, in the words of Banksy, … exit through the gift shop.